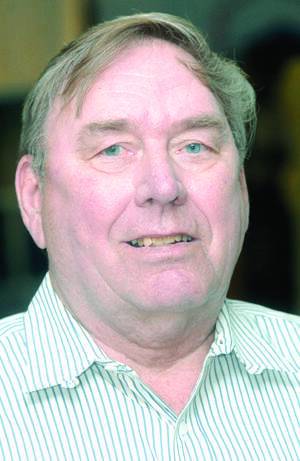 We’re excited to have Owen Canfield’s weekly column back in The Register Citizen today after a more than eight-month absence. The legendary Litchfield County journalist, author and former Hartford Courant sports editor was in a serious car accident on Sept. 13 on his way back from picking up a friend at Bradley International Airport. He suffered a broken leg, broken elbow and punctured lung. Recovery took longer than he expected or wanted, but he was eager to start writing again, and we’re thrilled to have him back. Owen started writing a Sunday column, profiling local people and slices of life, for The Register Citizen on Sept. 14, 2008, as some post-retirement writing he was doing for the Courant wound down. It was a homecoming of sorts. He had started his career at the Torrington Register 50 years ago, before leaving for a job at the Courant in 1965.